Lettuce, Cabbage, Cauliflower, Kohlrabi and Broccoli. 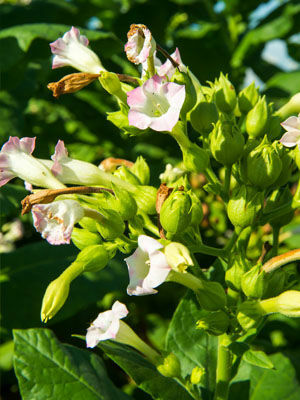 Upright nicotiana combines well with mound-forming flowers like portulaca or lobelia. Many varieties are fragrant. Aphids and slugs can require management. Some people are sensitive to nicotiana leaf sap and should dress defensively when working around the plants.